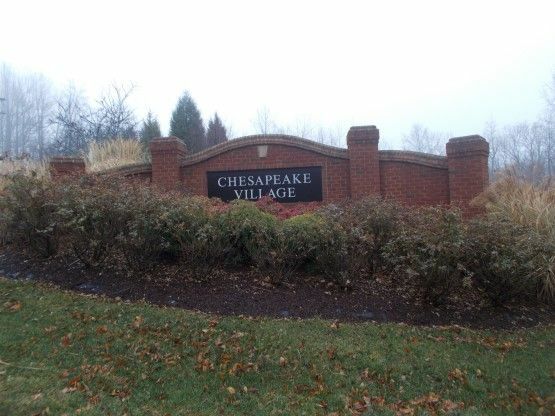 Located in Chesapeake Beach, Maryland, Chesapeake Village is a Quality Built Homes (QBH) neighborhood. The neighborhood had about 222 lots and was completed in 2014. The Chesapeake Beach Water Park, boardwalks, public beaches, and full-service marinas are just minutes away. All these local treasures create endless recreation possibilities. Chesapeake Village is on Rt. 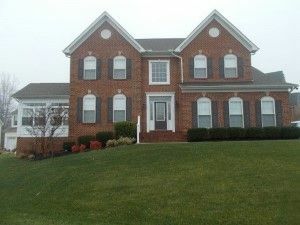 261, less than a mile away from Beach Elementary School and the Chesapeake Station Shopping Center. If you are headed to the neighborhood from Rt. 2, turn right onto Rt. 260 and follow it until the road ends. Take a right onto Rt 261, follow it through one traffic light and Chesapeake Village is about a mile on the right side of the road. The neighborhood is located in northern Calvert County and is across the street from Bayfront Park, known by locals as Brownie’s Beach. QBH strives to provide customers with peace of mind by combining construction excellence with outstanding levels of customer service. They rely on decades of close working relationships with finance and title companies, building material suppliers, and subcontractors to provide their customers with a home purchase that is valuable, complete, and timely. Chesapeake Village is a single-family home community. The lots vary in size and functionality, but they are all under 1 acre. At the time of construction, the base models started around $375,000 and the square footage of the homes range from 2,080-3,174 ft. Most of the homes in the neighborhood have between 4 and 4 bedrooms and 2.5 bathrooms. However, since the models were all customizable to the original owners desires, the bedroom and bathroom number vary from house to house. Most of the homes in the neighborhood have a finished basement and/or a sunroom. Some other possible in-home features include a theatre room, gourmet kitchen, and full bathroom in the basement. Since all the houses in the neighborhood have a grinder pump, each one also came with an 8kw backup Generator. All original owners were able to assign several major appliance to the generator, which is useful when the electricity is knocked out. Another standard feature for all the houses is a tankless hot water heater and 9ft ceilings on the first floor. The neighborhood does not have its own park, but Brownie’s Beach is within walking distance. There are also parks, local shops, and several restaurants all within minutes of the community. Several community gatherings are hosted throughout the year. The residents also have established a Facebook page, which helps foster a “community-unity.” Through the social media site, they have established a book club, Bunco league, list of home repairmen and contractors, and an unofficial neighborhood watch program. There seems to always be something going on in the Village. Residents are willing to lend a hand at any time and eagerly welcome new neighbors. Chesapeake Village feels like a little town within a town. What do you like most about Chesapeake Village? Share with you fellow community in a comment below.